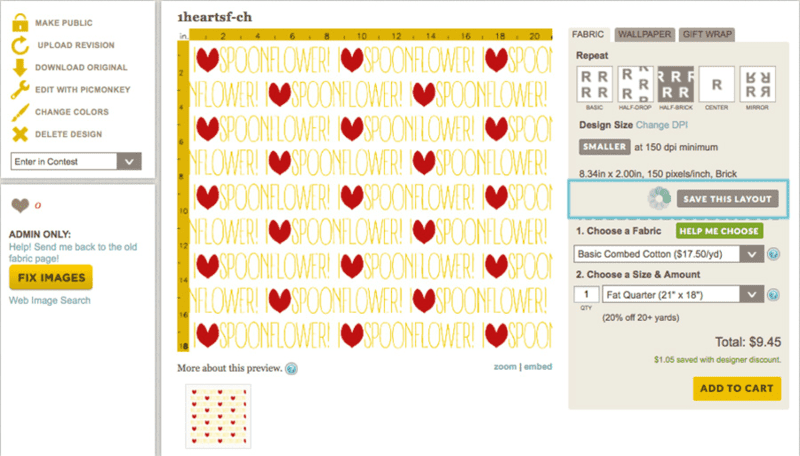 Uploading images to Spoonflower is super simple! Once a file is uploaded to our site, you will find several ways to continue tweaking your design. 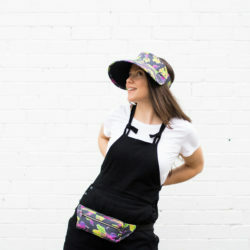 Spoonflower team member and designer extraordinaire Eloisa is here to walk you step by step through the upload process, highlighting our handy design tools along the way! 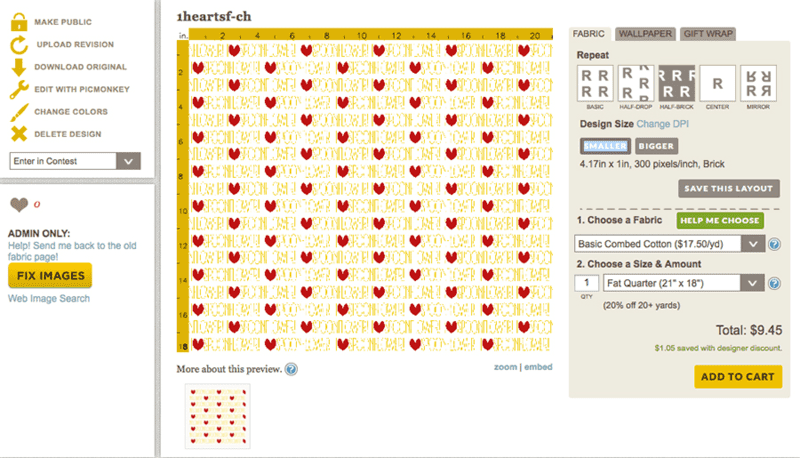 Uploading your design to Spoonflower really is as easy as 1-2-3! 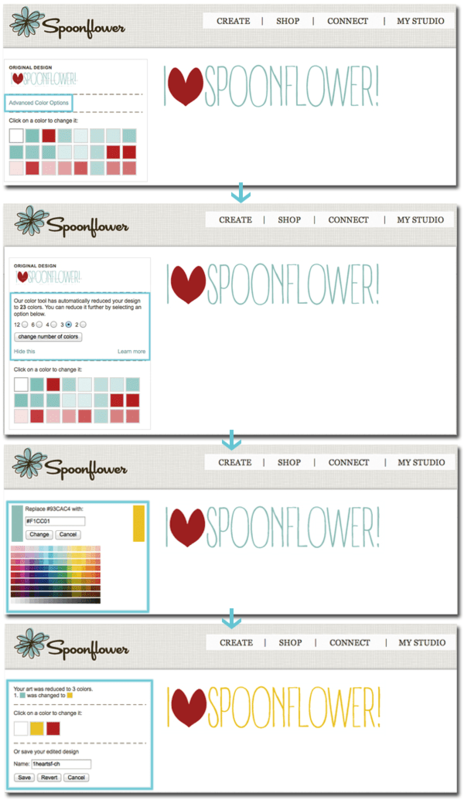 I'll be walking you through the process with this simple "I love Spoonflower" design to demonstrate each step in the process and call out some of the nifty features on our site! The only thing you'll need to follow along is a digital file that meets the Spoonflower image requirements. Got one? 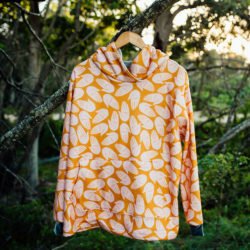 Great, just log into your Spoonflower account (or create one here if you do not already have an account), and let's upload our designs! 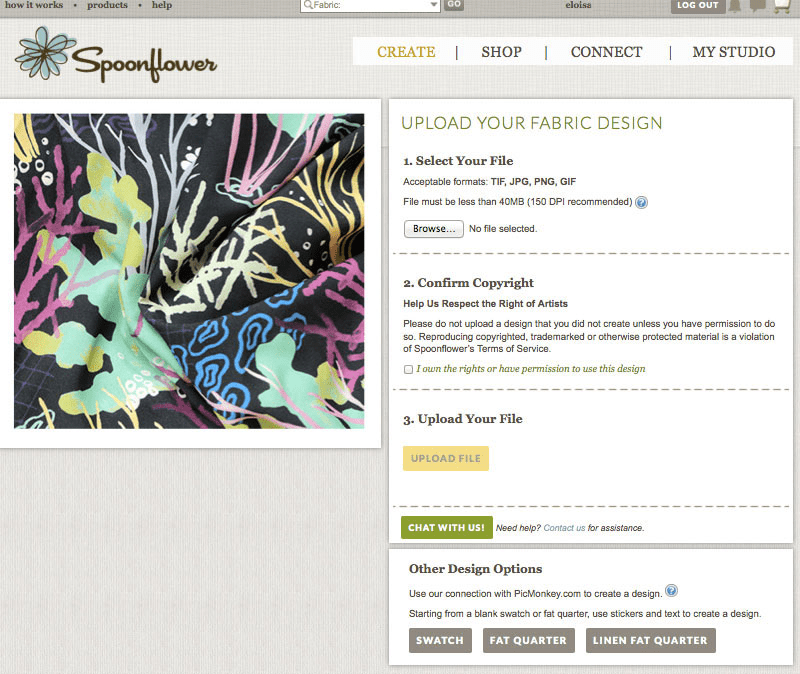 Once you log into your Spoonflower account, click on "Create" in the navigation, then select the type of product you are creating (fabric, wallpaper, gift wrap). This will take you to the image upload page for that substrate. Select Your File: Click on the "Browse" button, locate and select your file. Confirm Copyright: Verify that you have the right to use the image you have selected and agree to our copyright terms of service. Upload Your File: Just click the "Upload File" button, and you're done! On to the fun parts! Once your file uploads, you can make changes to it such as changing the color with the color changing tool, tweak it with PicMonkey, or change the repeat options and the size. 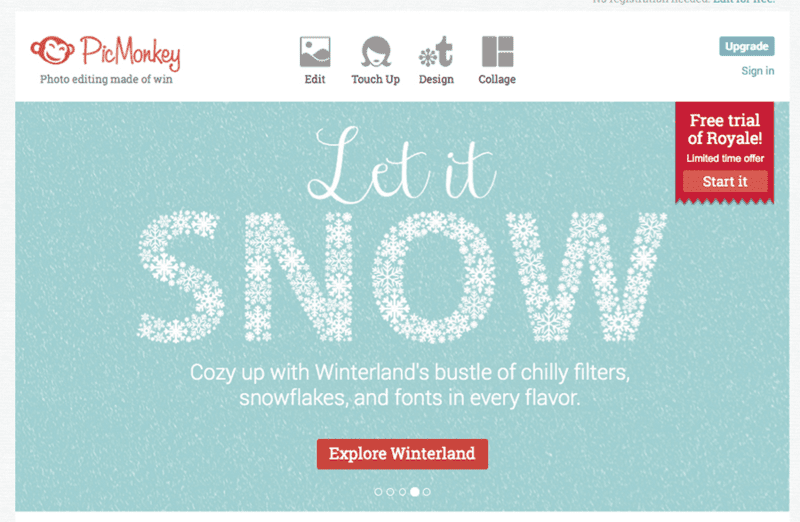 PicMonkey is a free and easy online tool that we have implemented in our website that will help you edit your design (or even start a design from scratch)! There are free graphics, fonts and filters that you can use to create or enhance your work. When you click on this link, you will be taken to PicMonkey’s website, and, after you are finished editing here, you will be transferred back to Spoonflower again. 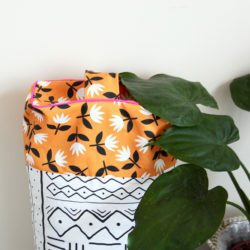 Repeat options built into our site give you several options for filling your fabric, wallpaper or gift wrap with your beautiful design. When you first upload your image to Spoonflower, our “Basic Repeat” will be selected, but you may want to choose another option depending on how you have sized your image. Design size allows you to change up the design’s size by clicking on the “Bigger” and “Smaller” buttons. Whether or not the option to go bigger or smaller is available will depend on the resolution of your design. A design with a resolution higher than 150 DPI will allow you to create a bigger image, and a design saved at 150 DPI or smaller will only allow you to decrease the size. You can change the DPI of your design manually by resaving your file in most cases. After you have made all the desired changes mentioned above, just click the "Save This Layout" button, and wait for the progress spinner to stop. This will indicate that your settings are now saved. 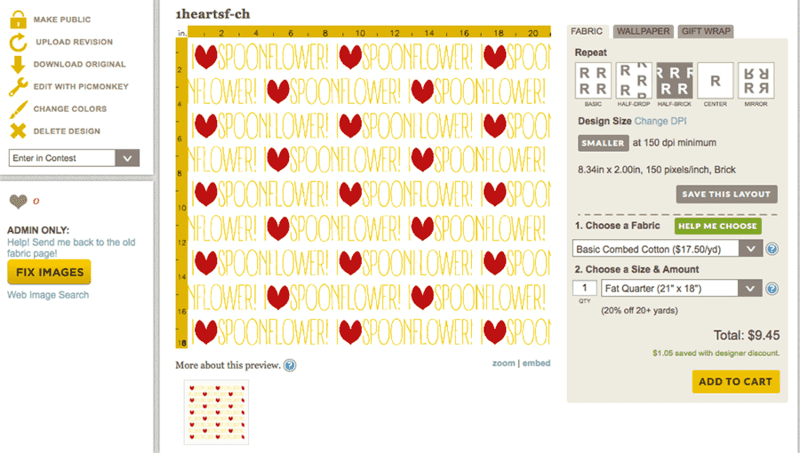 Now pat yourself on the back–you have a new design in your Spoonflower account! Hi guys, many thanks for this challenge! I have learned so much new stuff! And yes, your support team rocks! Thank you. 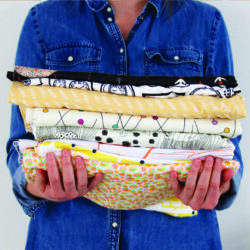 « Vote for your Favorite Kittens and Mittens Fabric!